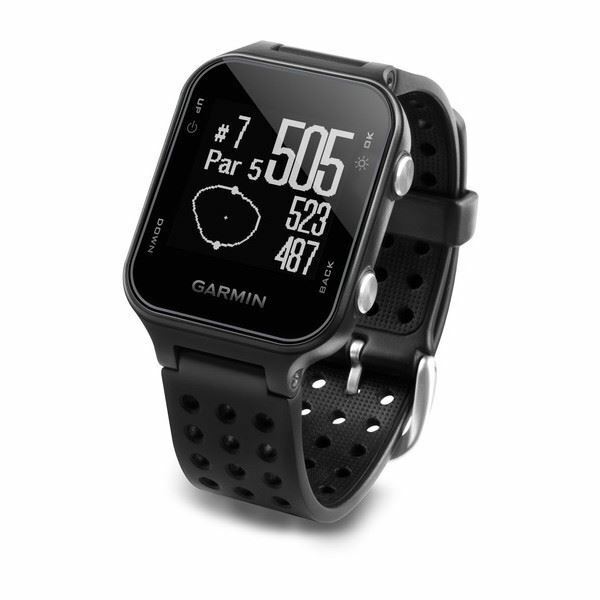 Garmin Approach S20 is a sleek and lightweight GPS golf watch that provides more convenience on the course with distances on over 40,000 preloaded courses including hazards plus Green View and the new Garmin AutoShot™ game tracker for detailed game analysis on Garmin Connect™. The watch also doubles as an activity tracker¹ and provides smart notifications² to connect you with your active lifestyle. AutoShot game tracker automatically tracks shots3 along the fairway and measures distances for post-round analysis on Garmin Connect. Lie and ball contact may affect shot tracking. 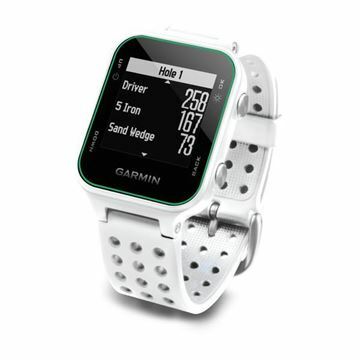 Putts are not tracked. Some shots, particularly chip shots around the green, may not be tracked. 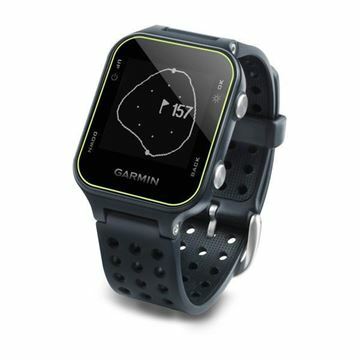 The Bluetooth logo is owned by the Bluetooth SIG, Inc. and any use of such mark by Garmin is under license.